James G. Ingalls is Staff Scientist at the Spitzer Space Telescope / Science Center, and a member of the InfraRed Spectrograph Instrument Support Team. He is co-author of Seven temperate terrestrial planets around the nearby ultracool dwarf star TRAPPIST-1. Paul Martin is writer, editor and journalist., He is the author of Secret Heroes: Everyday Americans Who Shaped Our World and Villains, Scoundrels, and Rogues. Stephen Hoadley is a Professor of Politics and International Relations at The University of Auckland. He is the author of, Asian Security Reassessed, New Zealand and France: Politics, Diplomacy and Dispute Management, and Soldiers and Politics in South East Asia. Mark Eugene Amsler is a Professor in Cultures, Languages and Linguistics and Director of the Europe Institute at the University of Auckland, He is the author of Effective Literacies: Writing and Multilingualism in the Later Middle Ages. Find book authored by our guest scholars on this Book Shelf . This program is produced with generous contribution from Ankine Aghassian, Tim Page, Mike Hurst and Sudd Dongre. 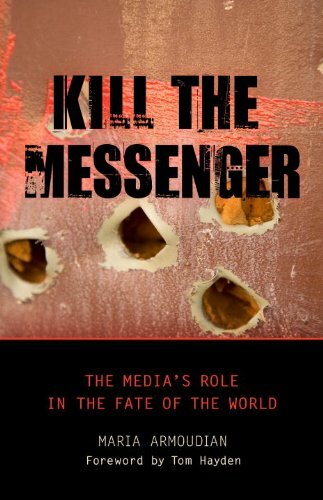 Purchase at Amazon, Maria details case studies on Media's affect on the fate of this world. Towards our production and interview library of The Scholars' Circle program. 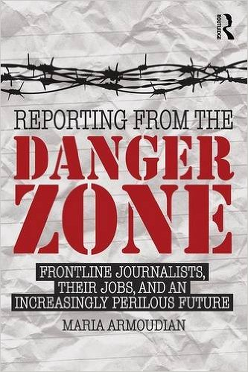 Maria Armoudian is the author of two books, Reporting from the Danger Zone: Frontline Journalists, Their Jobs and an Increasingly Perilous Future and Kill the Messenger: The Media’s Role in the Fate of the World. She is a lecturer at the University of Auckland in New Zealand, the host and producer of the syndicated radio program, The Scholars’ Circle. Maria served as an environmental commissioner for the City of Los Angeles for five years, on the Board of Taxi Cab Commissioners for two and worked on environmental protection, government oversight, poverty reduction, civil rights, and corporate reform legislation for the California State Legislature for eight years, Her articles have been published by the Columbia Journalism Review, New York Times Syndicate and the Los Angeles Times Syndicate, The New Zealand Herald, the Los Angeles Daily News, Grist, the Progressive, Salon.com, Truthout, Alternet, Inc., Daily Variety, and Billboard. She also a songwriter & musician. Her CD is called Life in the New World. here. Copyright by Maria Armoudian 2015-2017. This web portal created by Sudd Dongre of EyeConect Portal Services Inc..